The 2019 PSMA Annual Meeting will be held in conjunction with APEC 2019 at the Anaheim Marriott in Anaheim, California on Monday March 18. A buffet breakfast at 7:30 a.m. will precede the meeting and individuals from member companies as well non-member guests are invited to attend and participate in a full agenda of topics of interest to the industry. At the meeting, you will have the opportunity to meet and interact with many of the students who received APEC Travel Support to present their papers at the Technical Sessions. Regular member company representatives will participate in the election of four Directors to serve on the PSMA Board for a three-year term beginning immediately and ending at APEC 2022. The detailed agenda for the meeting will be on the PSMA web site and will include reports from each of the technical committees and stimulating discussions on new PSMA initiatives for 2019 and beyond. The APEC 2019 Conference Chair will review the progress on APEC2019 and there will be a report on plans for APEC 2020 in New Orleans. There will also be an invited presentation from European Power Supplies Manufacturers' Association (EPSMA) to review their activities that should be of interest to PSMA members. On the Saturday prior to the start of APEC2019, PSMA and PELS will be sponsoring two workshops, the fourth High Frequency Magnetics Workshop "Power Magnetics @ High Frequency" and the second Capacitor Workshop "The Impact of Wideband Technologies on Application of Capacitors - A Deep Dive on Capacitor Technology". 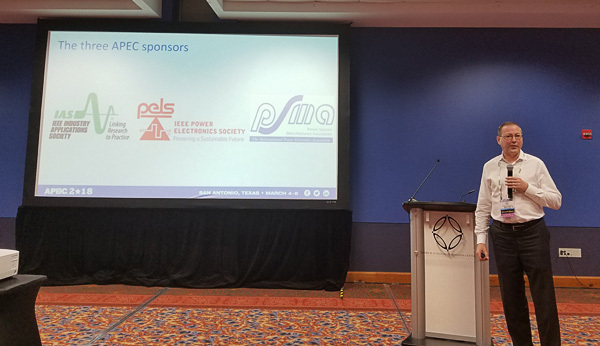 The Power Sources Manufacturers Association (PSMA) Magnetics Committee is sponsoring an Industry Session at APEC 2019 covering new magnetic materials for high-frequency power conversion. The session will take place from 8:30 a.m. to 11:55 a.m. on Tuesday, March 19, 2019, in Room 210 B/C of the Anaheim Convention Center. The Magnetics Industry Session (IS01) will feature seven presentations by industry and academic experts focusing on material advances enhancing the performance of high-frequency magnetics. Topics in this session include: Strain Annealed Metal Amorphous Nanocomposite Soft Magnetic Materials, High Bs Ferrite Material, Soft Magnetic Metal-Flake Composite Material, New and Modified Alloy Powder Core Materials and Nanocrystalline, Amorphous and Powdered Amorphous Cores. 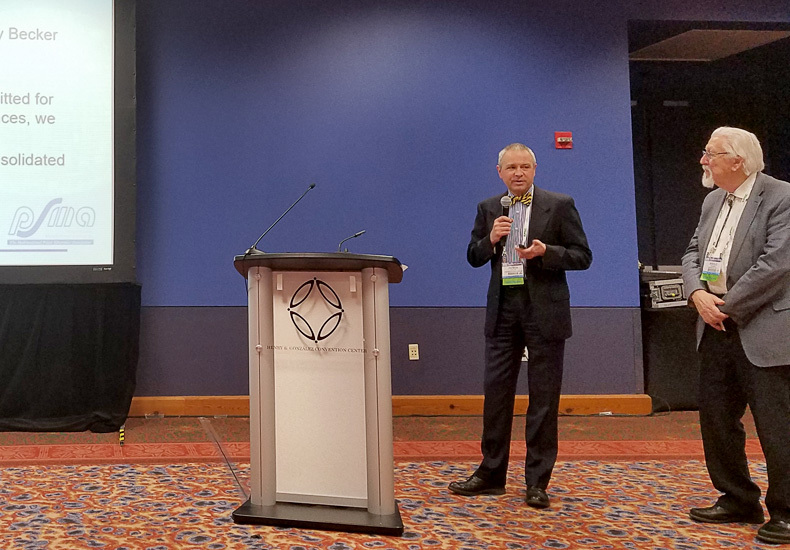 Ed Herbert, Chair of the Magnetics Industry Session encourages APEC attendees to register and attend this valuable industry session and to consider participating in the other PSMA-sponsored meetings during the week. Interested individuals are also invited to participate in the PSMA Magnetics Committee meeting on Tuesday, March 19th from 2:00 p.m. to 4:00 p.m. in the Marriott Anaheim Platinum 10 meeting room to plan the committee program for the coming year. At APEC 2019, the Power Sources Manufacturers Association's (PSMA) Transportation Power Electronics Technical Committee will sponsor an APEC Industry Session titled: “Enablers for Transportation Electrification.” The session (IS14) will feature seven speakers from industry, academia and government research laboratories who will discuss the new and evolving technologies shaping the transportation market. The session will be held during the APEC conference on Wednesday, March 20th, 2019, from 2:00 p.m. to 5:25 p.m., in the Anaheim Convention Center, Room 210 B/C, Anaheim, CA. The Transportation Industry Session will include presentations covering materials and processes for power electronics and electric motors, inverter technologies, ultra-fast and wireless charging, thermal management and recycling issues. PSMA Transportation Power Electronics Committee co-chairs, Ralph Taylor of Delphi Technologies and Fred Weber of Future Technology Worldwide, encourage attendees of APEC 2019 to attend this informative Industry Session and to consider participating in the other PSMA-sponsored Industry Sessions during the week. The Power Sources Manufacturers Association (PSMA) Capacitor Committee is sponsoring Industry Session IS08 at APEC2019 titled, “Design Considerations and a Deep Dive into Capacitor Technologies.” The session will take place on Wednesday, March 20, 2019 from 8:30 a.m. to 10:10 a.m. at the Anaheim Convention Center, Room 210A. The session will feature four experts from capacitor companies that serve the power electronics industries: KEMET, Cornell Dubilier Electronics, W. L. Gore and Associates and Wurth Electronik. Interested individuals are also invited to participate in the PSMA Capacitor Committee meeting on Tuesday, March 19th from 10:00 a.m. to noon in the Anaheim Marriott, Platinum 9 Meeting Room to plan the committee program for the coming year. All APEC attendees are invited to attend the PSMA Semiconductor Committee meeting, scheduled for 8:00 to 10:00 a.m. on Wednesday, March 20th, in the Anahaim Marriott, Meeting Room Platinum 10. The Power Sources Manufacturers Association (PSMA) Packaging Committee is sponsoring an Industry Session at APEC 2019 in Anaheim, California titled, “Making Power Sources Small with 3D Power Packaging.” Featuring speakers from leading industry and research organizations, the session (IS12) will present an up-to-date look at current and future component and manufacturing technologies utilizing high-density 3D packaging. The session will take place on Wednesday afternoon, March 20th from 2:00 - 5:25 p.m. in Room 210A of the Anaheim Convention Center. Manufacturers utilizing power sources in their products are continually asking for smaller solutions. The industry can deliver with new components, design and manufacturing techniques that support higher density, higher reliability, and higher frequency operation. A 3D packaging approach using embedded components (actives and passives) combined with advanced manufacturing technologies is proving to be the most reliable solution, offering the fastest time to market for achieving increased power density in a smaller footprint. This solution is already in production in semiconductor, component and power supply designs. The 3D Power Packaging Industry Session will feature seven invited experts, offering application details, real-world examples of implementation and insights to help attendees identify potential opportunities for their companies and to explore the potential of applying this emerging technology to meet their market demands. 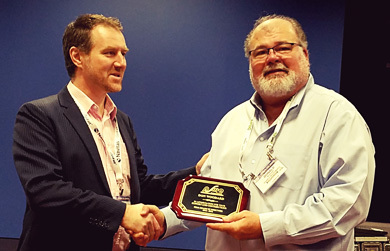 All APEC attendees are invited to attend the PSMA Packaging Committee meeting scheduled for Wednesday, March 20th, 2019, from 8:00 am to 10:00 am in the Anaheim Marriott, Meeting Room Platinum 9. Participants are also encouraged to participate the other PSMA-sponsored meetings being held throughout the week. The Applied Power Electronics Conference (APEC2019), to be held in Anaheim California, March 17-21, 2019, will feature an Industry Session sponsored by the Energy Harvesting Committee of the Power Sources Manufacturers Association (PSMA). This Industry Session, featuring seven industry experts, will address the latest developments in this rapidly emerging technology ecosystem that is disruptively increasing in relevance for a wide variety of power electronic applications, particularly IoT where the grand challenge is to get the battery to outlive the IoT edge device. The Energy Harvesting Session (IS15) will be held on Wednesday, March 20, from 2:00 pm to 5:25 pm in the Anaheim Convention Center, Room 213B. There will also be a decided ‘non-presentation’ slot showing various energy harvesting and power management-related demos where attendees can talk directly with the developer and integrators in real-life applications and understand its potential use. The PSMA Energy Harvesting Committee Chair Mike Hayes (Tyndall National Institute) and Co-Chair Brian Zahnstecher (PowerRox) have geared the session for a wide audience, including potential collaborators and adopters of energy harvesting for the self-powering of ultra-low-power applications, as well as those who want to eliminate the need for a battery or storage device replacement in low-power devices. Industrial and academic developers of material and devices (both active and passive) also will find this session helpful in understanding application requirements. In addition to registering for the Energy Harvesting session, APEC attendees are encouraged to participate in the many other informative and timely PSMA-sponsored Industry Sessions and Committee Meetings taking place during the show. All APEC attendees are invited to attend the PSMA Energy Harvesting Committee meeting, scheduled for 10:00 am to 12:00 pm on Tuesday, March 19th in the Anaheim Marriott, Meeting Room Platinum 10. The Plenary Session on Monday, March 18 will feature world-class presentations to keynote our week-long conference. The lineup is still being established but the list of potential speakers is exciting, indeed. Please check back soon for the complete schedule. Eighteen Professional Development Seminars will be offered on Sunday, March 17 and Monday, March 18. The seminars are presented by world-class experts and are designed to bring you up to speed on critical power electronics design technologies and techniques. Each year, the attendance at these exceptional seminars continues to grow and many are sold-out in advance. A Technical Program from Tuesday, March 18 through Thursday, March 20 comprising 592 quality, peer-reviewed papers: 312 papers will be presented in 12 lecture tracks (40 sessions); 281 papers will be presented on Thursday's poster session in 17 poster areas. All papers will be included in the USB Drive of the Conference. The very popular Industry Session program will run concurrently with the Technical Program and consist of 25 sessions with 140 total presentations dealing with cutting-edge development from the manufacturing community. All presentations will be included in the USB Drive of the Conference. Three current controversial topics will be covered in the annual Rap Sessions on Tuesday evening. The Rap Sessions are designed to present alternative points of view and generate discussion. Grab a cool beverage and bring your questions for the panelists. Fifty-six Exhibitor Seminars will be conducted on the show floor and will again allow attendees to hear presentations about the latest products on display. The crowded exhibition hall with a record 300 exhibitors will be packed with the latest power electronics products. There are currently over 40 potential exhibitors still on the waiting list! 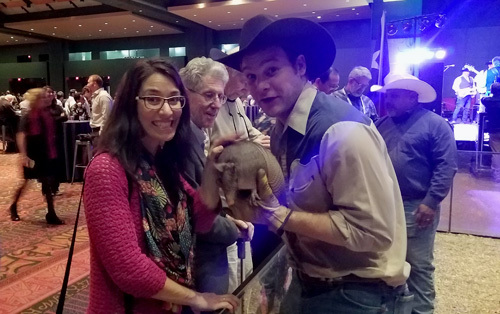 The always popular annual MicroMouse competition, pitting teams from around the world to solve the maze the fastest with their intelligent motorized mice, will be held on Monday evening after the exhibits close. A terrific social event is in the planning stages that will bring us all together on Wednesday evening. This committee has its work cut out to match the great event we had last year in San Antonio. Speaking for all of us on the APEC Conference Committee, I invite you to come to Anaheim to be part of our annual March Madness. You really don't want to miss it. Check the APEC website for details (www.apec-conf.org). If you haven't already made plans to attend, don't wait any longer. Be sure you have it in your 2019 budget to attend this exceptional event – truly The Premier Event in Applied Power Electronics™. Also consider the two PSMA and IEEE/ PELS workshops scheduled on the Saturday prior to the start of APEC2019! The second Capacitor Workshop, "The Impact of Wideband Technologies on Application of Capacitors - A Deep Dive on Capacitor Technology". 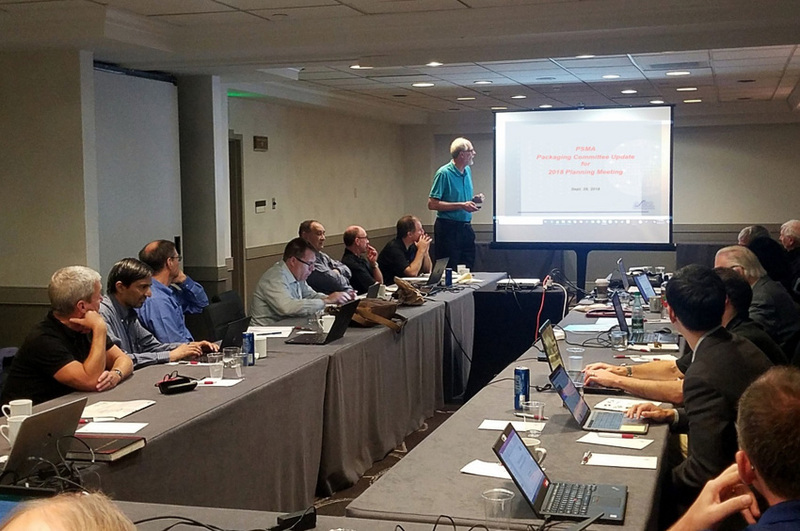 he 2018 PSMA Planning Meeting was held on Saturday September 29, 2018 at the Anaheim Marriott in Anaheim, CA with 22 attendees. The purpose of the Planning Meeting was to review where the Association is today, discuss outstanding issues and to identify possible programs and projects that promise to bring value to the membership. PSMA Chairman Stephen Oliver led the meeting and reviewed his vision for the organization and summarized the general health of the association as well as membership statistics and the changes since the 2017 Planning Meeting. He listed organizations PSMA interacts with, reviewed recent sponsored conferences and workshops and emphasized that the technical committees are the heart of the organization. It is in these committees that the real work of PSMA is done. In discussing some of the areas of concern to the organization he highlighted the need to continue to invest in special projects that will bring value to our members, increase the effort to develop more and deeper involvement with more individuals within member companies and the continued commitment to bring more industry content to APEC. 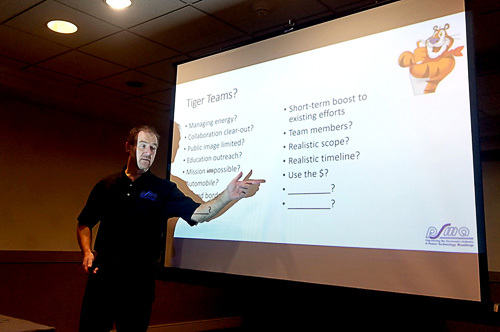 He suggested "Tiger Teams", powerful, agile groups of experts brought together for a single, short project, to address some of the current opportunities and challenges. Michel Grenon, Secretary/Treasurer, prepared a 6-Quarter financial forecast which indicated that the Association will remain in a reasonable financial position over the period which will allow funding to support Special Projects that promise to bring value to the membership and the industry. 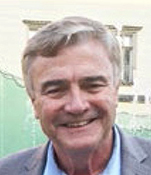 Pierre Lohrber, Capacitor Committee Co-Chair, reported that the committee is sponsoring educational webinars on Capacitor Design Basics and planning a second workshop, The Impact of Wideband Technologies on Application of Capacitors - A Deep Dive on Capacitor Technology, the Saturday before APEC 2019. Energy Harvesting Committee Co-Chairs Mike Hayes and Brian Zahnstecher reported some of the highlights from EnerHarv 2018 Workshop recently held at Tyndall in Cork Ireland. The committee is organizing a student competition. 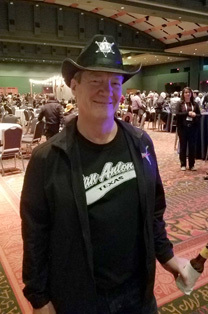 Ed Herbert, Energy Management Committee Interim Co-Chair, reported that due to a number of circumstances, the Technical Committee has recently lost its chair and co-chair and is actively seeking volunteers for the leadership position. As a result, the committee has not proposed an Industry Session for APEC2019. The committee continues to support the Energy Efficiency Database (EEDB) on the PSMA website. Joe Horzepa reported that the Industry-Education Committee supported the Student Travel Support for APEC 2018. 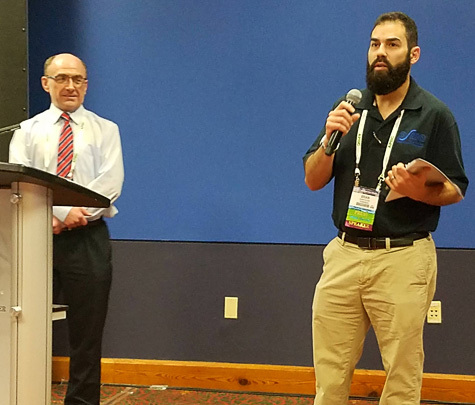 The program, co-sponsored by IAS and PELS provides travel reimbursement up to $1,000 each totaling $60,000 for students whose technical abstracts were selected for presentation and who will be attending the conference. The committee will continue to support the program for APEC 2019. The I-E committee is in need of more active support from both Industry and University volunteers to identify and offer programs to encourage high school and undergraduate student to consider opportunities in the Power Sources industry. Ed Herbert, Magnetics Committee Co-Chair, reported that the committee held a very successful Magnetics Workshop at APEC 2018 and is organizing a fourth Power Magnetics @ High Frequency Workshop, for the Saturday before APEC 2019. The committee is also working on a Special Project with SMA on core testing. Greg Evans, Marketing Committee Co-Chair, reviewed the recent activities of the committee including plans for APEC 2019. 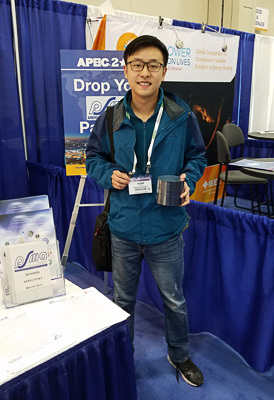 For the sixth year, the committee will sponsor the "PSMA Passport Game" to increase visibility and traffic to PSMA member exhibit booths during APEC. The committee will continue to issue news releases for PSMA events and activities. The committee recently proposed changes to the Membership Categories which was accepted by the Board. In addition, the committee has proposed changes in membership Dues structure that is being reviewed by the Board. 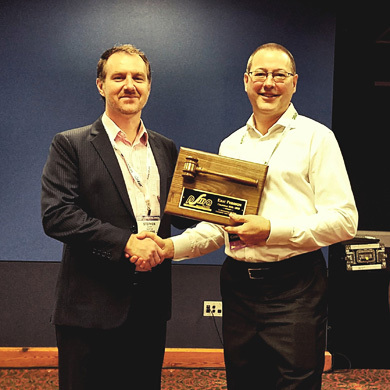 The Power Electronics Packaging Committee has had a number of major accomplishments in 2018, as reported by committee Co-Chair, Brian Narveson, including publishing a Technology Report "3D Power Packaging with Focus on Embedded Passive Component and Substrat Technology" and the second 3D-PEIM Symposium. Future projects include PwrSoC 2018 to be held in October in Taiwan, IWIPP 2019 in Toulouse, France and a proposed 3D-PEIM 2020 in Osaka, Japan. Dhaval Dalal and Conor Quinn, Power Technology Roadmap Committee Co-Chairs, reviewed the current status and Timeline for the 2019 Power Technology Roadmap Report that will be published in March. The Committee continues to organize a number of technical Webinars in support of the Roadmap and is preparing a survey of the industry targeted at key individuals in the Industry – the survey will be both in English and Chinese to attract higher participation. Reliability Committee Co-Chair Brian Zahnstecher reported that the committee was formed in July 2017 and now has 19 members. The committee is currently focused on ta Special Project to report on best practices for Power supply Software/ Firmware/Test/Standardization with a report targeted for release by APEC 2019. Kevin Parmenter, Safety and Compliance Committee Co-Chair, reviewed past activities and planning for the coming year. The committee continues to support the Safety & Compliance Data Base. Committee members have presented at external events to build awareness and the co-chairs contribute a monthly column in How2Power. Semiconductor Committee Co-Chair Tim McDonald reported that the committee has proposed 3 Industry Sessions for APEC 2019 and is supporting as technical and financial co-sponsor with IEEE PELS the WiPDA Workshop in Atlanta, GA. The committee has recruited several new members recently and is currently looking for a new co-chair. 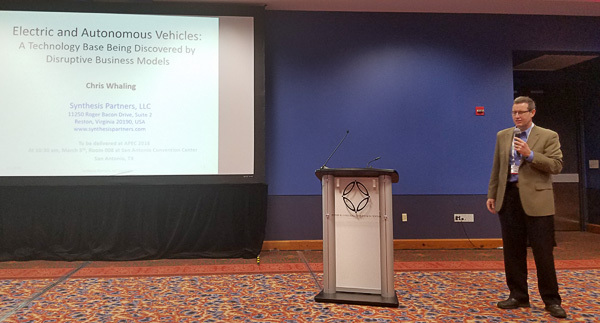 The Co-Chairs of the Transportation Power Electronics Committee, Ralph Taylor and Fred Weber, were unable to attend in person, but submitted a report reviewing the committee's activities. The committee typically has 5-10 participants at their monthly meetings. During the Committee Reports a number of issues and possible future activities were identified and discussed. These issues will be the focus for PSMA over the next year (and beyond). Following the committee reports, PSMA President Mike Hayes led the Planning Discussion which generated a short list of 7 Tiger Teams addressing issues including Privacy, Workshop Policies, Committee Consolidation and Cooperation, Public Image, Strategy, Collaborations with Other Organizations, and Student Mentoring. PSMA members can view the minutes of the Planning Meeting on the "Members Only" section of the PSMA web site. The APEC Technical Program Committee for APEC 2019 met on Sunday and were joined by many of the PSMA members from the Planning Meeting. Based on the results of their work we can all look forward to a very interesting and a successful APEC 2019.
lanning for APEC 2019 is well underway. The Call-for-Papers closed in July with 1,048 digests submitted. Now the committee and over 100 volunteers have the task of peer-reviewing all of the digests in preparation for the mid-year meeting at the end of September. At that time, the tough task will be to select the top 500+ papers for the Technical Sessions program. As in APEC 2018, 60 Students that have a technical paper accepted are invited to apply for a Student Travel Reimbursement Award of up to $1000 to cover their attendance at APEC2019. For more information, see the article on page 4 of this issue. Work continues in development of the Plenary Session program. The committee has put together an exceptional roster of candidates. The program will be finalized before the next edition of this newsletter. The Plenary Session is expected to bring well over 2,000 attendees. In addition, IEEE.tv will, once again, be streaming the entire session, live, for those who can't make it to APEC by Monday afternoon. By early September, all the submissions of proposals for both the very popular Industry Sessions as well as the highly-informative Professional Education Seminars will be under consideration. The Industry Session tracks that run in parallel with the Technical Sessions are expected to be as popular as ever. This year, at APEC2018, over 1,500 APEC attendees arrived early to take advantage of the weekend and Monday morning Professional Education Seminars. The committee is planning for a repeat of this attendance in 2019. Exhibit reservations for APEC2019 have hit an all-time high with 281 exhibitors and 46,600 square feet of exhibit space. The exhibit is sold out and there are over 50 companies on the waiting list. The Exhibit Committee is working hard to accommodate as many of these as possible. On the Saturday prior to the start of APEC2019, PSMA and PELS will be sponsoring two workshops, the fourth High Frequency Magnetics Workshop and the second Capacitor Workshop. For more information see the articles on each workshop in this issue of the UPDATE. Registration opens on October 29th. Go to www.apec-conf.org to get all the information you need. In addition to making your reservation to attend, you will also be able to book your hotel accommodations. APEC has secured blocks of rooms at the close-in hotels to the convention center. As usual, these rooms will sell out long before next March. 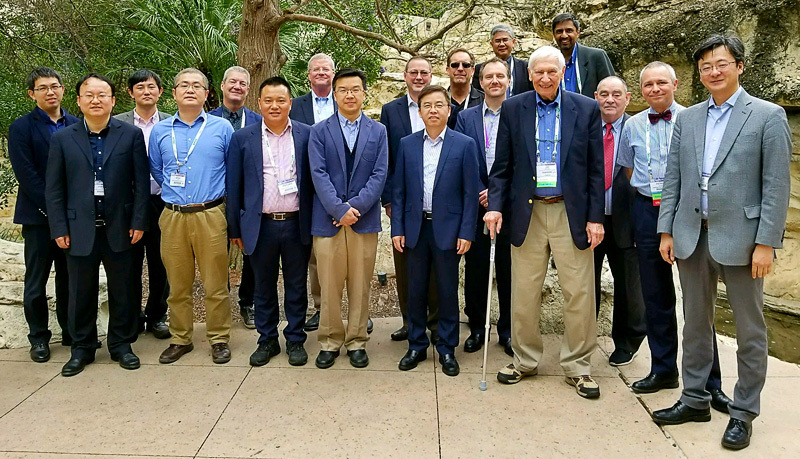 The entire APEC Conference Committee is excited about bringing our Premier Global Event in Applied Power Electronics to Anaheim, March 17-21, 2019.
ll members of PSMA companies are invited to attend and to offer their inputs and suggestions for the projects and activities the Association should focus on in the coming year. The 2018 PSMA Planning Meeting will take place on Saturday September 29, in the La Jolla Room at the Anaheim Marriott, Anaheim, CA . The Board of Directors relies on the inputs generated at the Annual Planning Meetings to identify, consider and select programs for the following year that will bring benefits to the PSMA membership. For example, initiatives generated at recent Planning Meetings have resulted in the Power Supply in Package and Power Supply on Chip project and workshops, the Energy Efficiency and Safety & Compliance Database projects and the 3D Power Packaging projects and 3D-PEIM Symposiums. This year's meeting will begin with a brief review of the year to date accomplishments and a summary of ongoing activities by Stephen Oliver, Chairman of the PSMA. This will be followed by an update of the six-quarter financial forecast and a status report and plans from the active PSMA committees. Most of the meeting will feature an open forum to introduce and discuss possible special projects, initiatives, and priorities for the coming months. All members of PSMA Companies are encouraged to provide inputs. If you cannot attend the meeting in person, email suggestions to power@psma.com and they will be considered and included in the discussions. In the coming months, the PSMA Marketing Committee will summarize the results of the meeting and prioritize which projects and initiatives should be included in the focus for the next year. All members and guests attending are invited to remain after the Planning Meeting to participate in a meeting of the Board of Directors, which will take place immediately following. After the Board Meeting, interested individuals are invited to tour the exhibit area space in the Anaheim Convention Center and the meeting room facilities planned for APEC 2019. The APEC 2019 Technical Program Committee will meet the following day, Sunday September 30, to discuss the technical abstracts submitted and to organize the technical sessions, professional education seminars, rap sessions, and industry presentations for APEC 2019 in March. Since PSMA is a co-sponsor of APEC all members are invited to participate and contribute in this important activity. 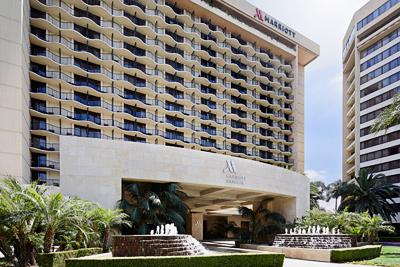 To make your room reservations at the Marriott, visit https://aws.passkey.com/go/APEC2019 to receive the group rate of $189.00 USD plus taxes. If you plan to attend the 2018 PSMA Planning Meeting, please email the Association Office at power@psma.com. We look forward to seeing many of you at these important meetings. 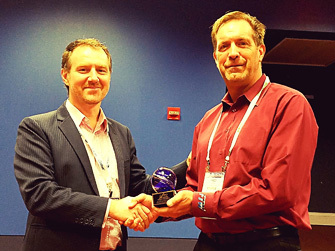 T he invited speaker at this year's Annual Meeting was Chris Whaling from Synthesis Partners LLC of Reston, VA. The title of his presentation was: Electric and Autonomous Vehicles: A Technology Base Being Discovered by Disruptive Business Models. Chris reviewed the growth and current market estimate of Electric passenger vehicles worldwide and by country. The global market is forecast to continue its rapid growth with the emergence of autonomous vehicles expected by 2021. This potential opportunity is being addressed by major companies worldwide. He briefly reviewed some of the technology and materials gaps that need to be solved to bring the technology to market. Before adjourning, Chairman Oliver asked the attendees for their comments and any suggestions for the future directions and activities for Association that would increase the value of their membership. A number of areas were discussed and will be considered by the Board. 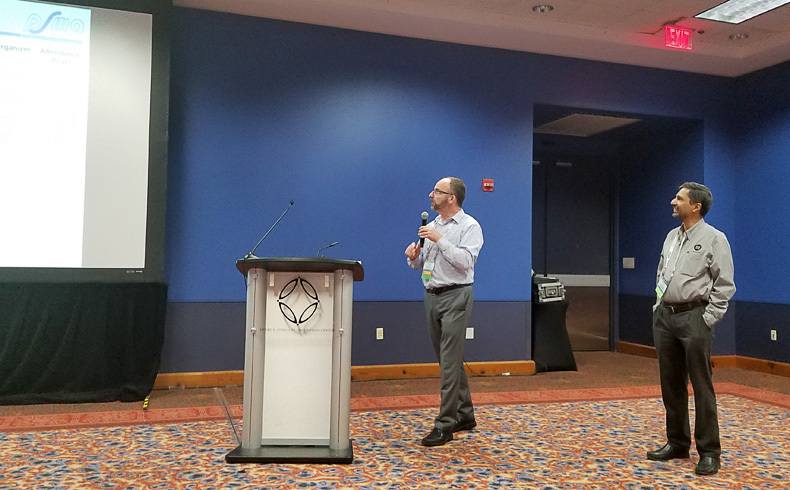 Stephen Oliver thanked all presenters and attendees for their participation and invited interested individuals to attend the March meeting of the PSMA Board of Directors, which immediately followed. 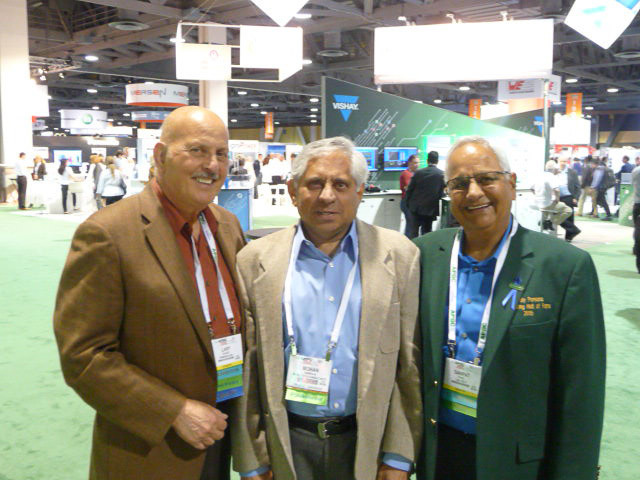 ince APEC 2016 was being held in virtually our back yard, Cherokee International founder and president Ganpat Patel and I drove to Long Beach to attend the 30th annual Applied Power Electronics Conference (APEC). This year's event was held inside the Long Beach Convention & Entertainment Center (located adjacent to the Hyatt Regency Hotel). Having served as the APEC Publicity Chairman (1991-96 & 1998-2004) I wanted to meet some former committee colleagues and to see what new products are being developed and introduced. 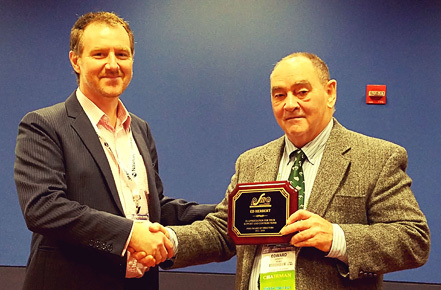 APEC, sponsored by the IEEE PELS and IEEE IAS Societies and the Power Sources Manufacturers Association, PSMA, is "recognized by many as the leading conference for practicing electronics professionals." In addition to 21 3-1/2 half hour educational Seminars that commenced on Sunday, APEC 2016 offered over 500 technical papers in 45 different Sessions which started on Monday afternoon and concluded on Thursday March 24. APEC is truly an International Conference. 1212 Technical Session abstracts, received from 45 different nations, were peer reviewed last fall. Abstracts from 30 of these countries were selected for inclusion in this year’s record setting event. Case in point, engineers traveled from as far away as Australia and New Zealand to share their latest design concepts. Speakers from China, Hong Kong, Japan, Singapore, South Korea, and Taiwan represented Asia. Representing South and Central America, speakers travel from Brazil and Columbia. From the Middle East there were presentations from Egypt, Israel, and Qatar. Representing Europe were speakers from Austria, Belgium, Denmark, France, German, India, Italy, Netherlands, Spain, Switzerland, Sweden and the Ukraine. Let me not overlook the speakers from Canada, Ireland and the U.K. Complementing the technical presentations, the APEC exhibit hall contained 370 booths with a wide array of products. “Feed them and they will come” always works. 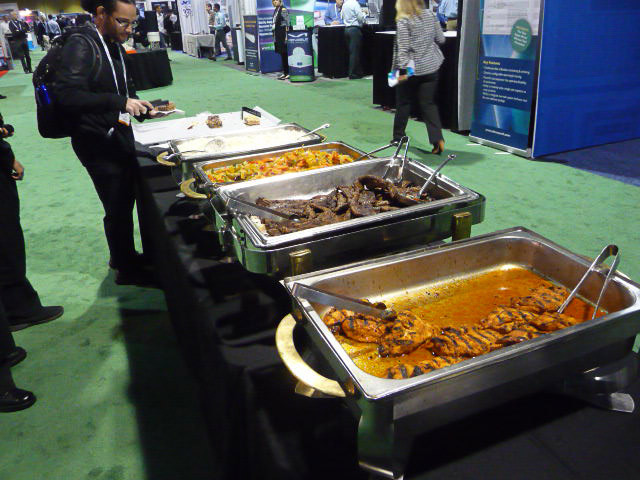 APEC set up multiple serving stations with great entrees and beverages as well as ice cream stations for the 5,100 plus attendees to keep them from leaving the exhibit hall at the Convention Center. And what was happening with the PSMA you might ask? A lot. There were 24 two to three hour technical committee meetings scheduled, ranging from a workshop on High Frequency Magnetics that started at 7:30 on Saturday morning to a three-hour session addressing Safety and Compliance issues and another three-hour session on Semiconductors advances that were held on Thursday. I would be remiss not to point out that the very popular Power Technology Roadmap Committee met for two hours on Tuesday. We did look into the Packaging Technical Committee meeting on Tuesday afternoon. Tuesday evening attendees could select from three desirable Rap sessions including: Future of Semiconductor Technology Development, Power Electronics for Internet of Things: Will it Happen and Advanced Refueling Technologies for EVs. In quizzing some of the attendees we were told that the new hot item is Gallium Nitride semiconductors. Another area to be aware of is IoT. "Internet of things" where you will be told when you are running low on milk, your coffee is ready and other smart power alerts. "The Internet of Things” is the network of physical objects—devices, vehicles, buildings and other items—embedded with electronics, software, sensors, and network connectivity that enables these objects to collect and exchange data." Where is everyone from my past? We did find representatives from firms dating back to the 70s and 80s. Many of the others have merged, sold outright or folded in a very competitive environment. 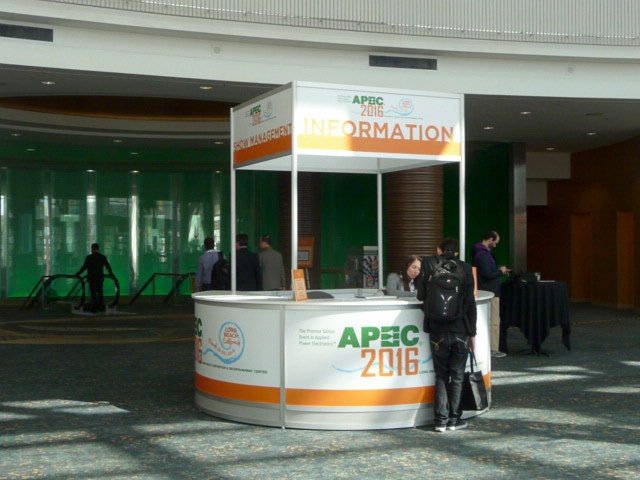 The APEC 2017 conference will be held in Tampa from March 26-30. If you wish to submit a paper for consideration in the Technical Sessions or be a Trade Show exhibitor simply check the PSMA website for details.